Training course on the CERGE-EI Teaching Development Program: Teaching Principles and Practices was held for the first time at the UNWE. 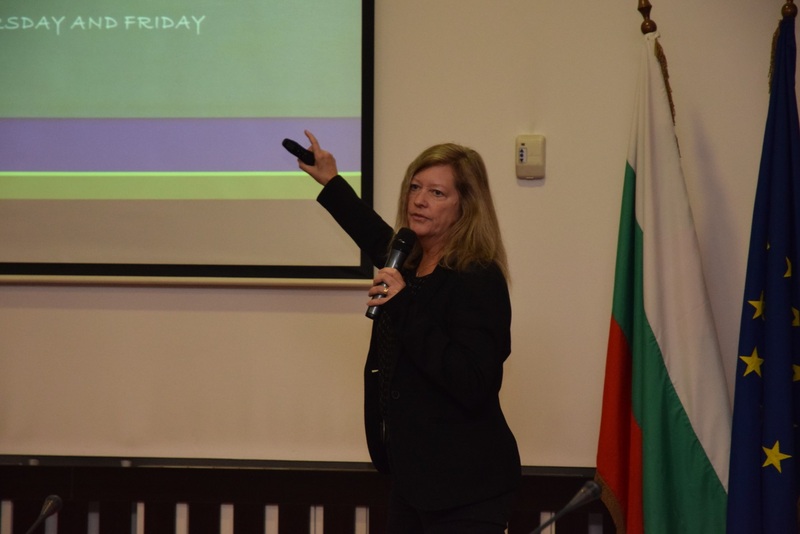 It was carried out in English by the lecturers Deborah Novakova, Andrea Downing, Grayson Krueger and Karin Krummenacher from the CERGE-EI Academic Skills Center in Prague (in the picture below). 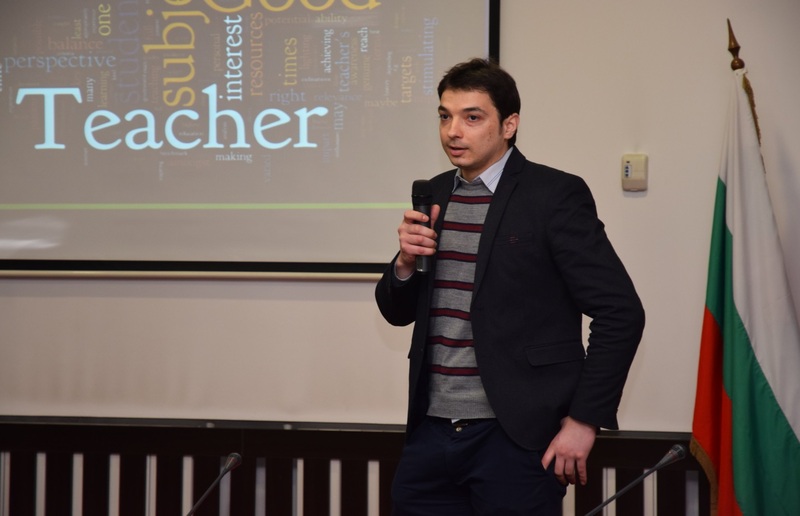 They have worked in the field of knowledge and teaching skills transfer to young lecturers and Doctoral students all over the region of Central and Eastern Europe since 2017. 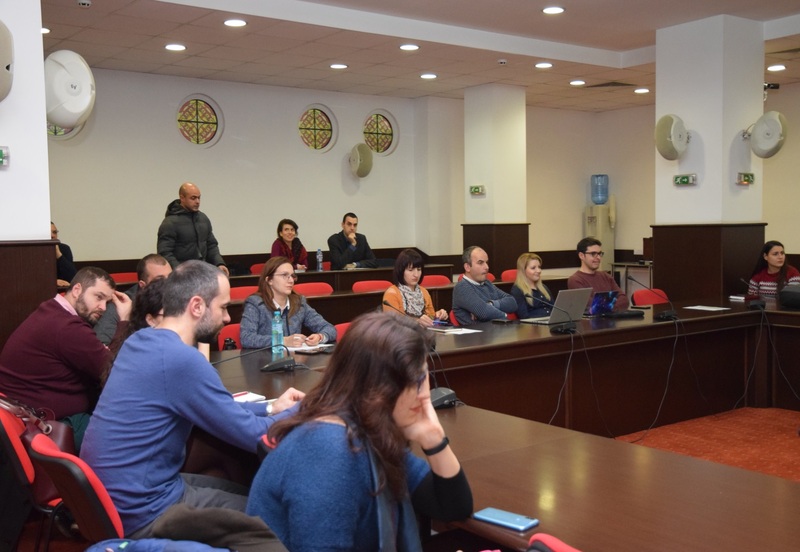 In the Teaching Development Program took part 30 young lecturers and Doctoral students from the UNWE. 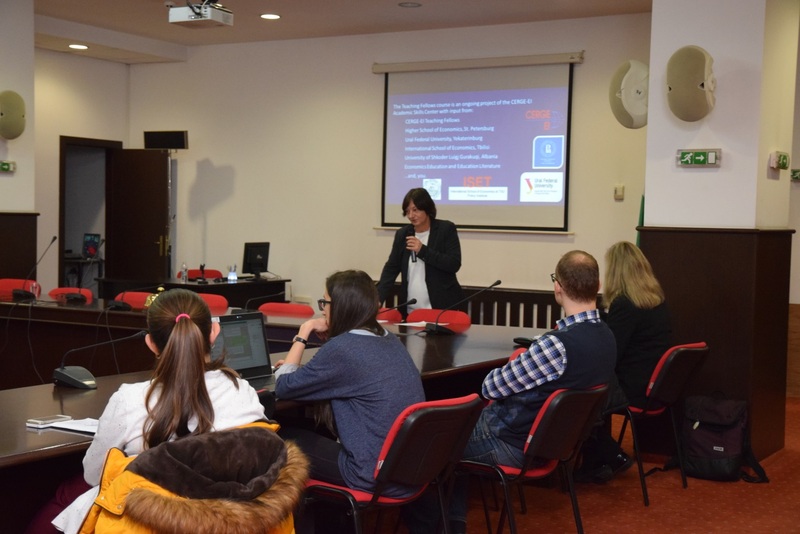 During the first two days they were trained how to teach, how to stimulate the students to visit academic lessons regularly, how to identify and avoid plagiarism and why it is necessary. During the third and the fourth day the participants were divided in three groups and each one was trained (in combination with workshops) how to cope with a difficult audience and how to evaluate the work of students and colleagues. 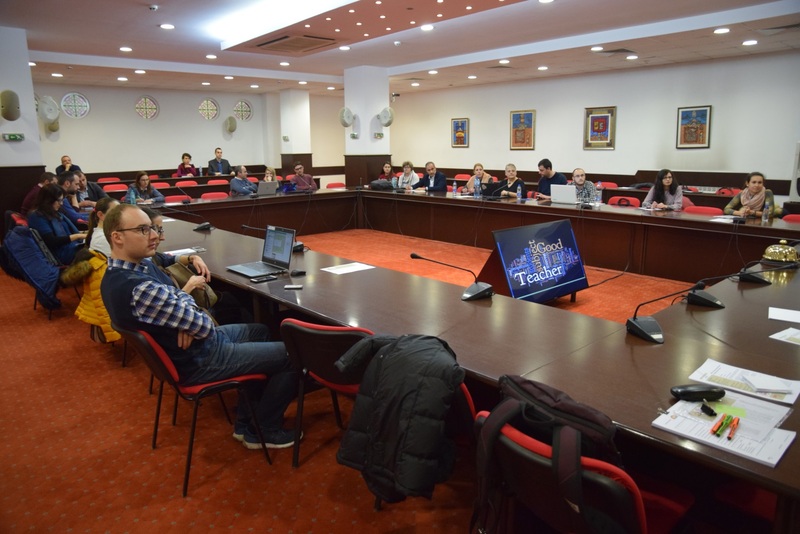 During the last day the Doctoral students and young lecturers shared their impressions of the programme and participation in it. 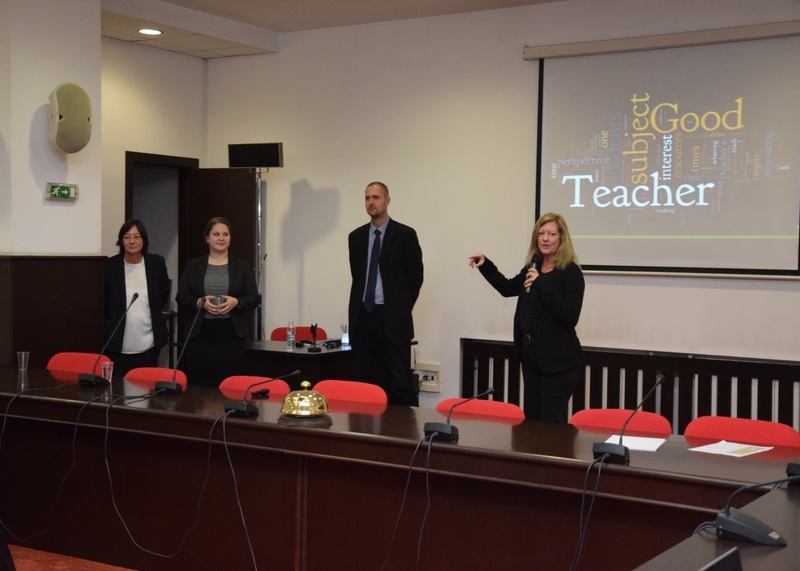 Organizers of the training course implemented by the support of the Rectors Managing Body and CERGE-EI were Chief. Assist. Dr. Peter Stankov and Assist.  Dr. Ivan Bozhikin.